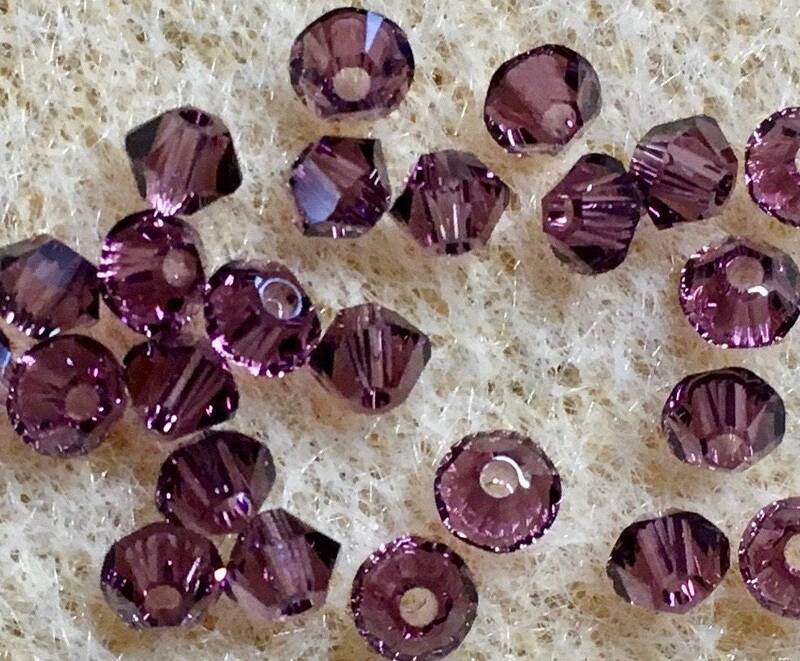 Amethyst 5328 Bicone Swarovski Crystal Beads 3mm. 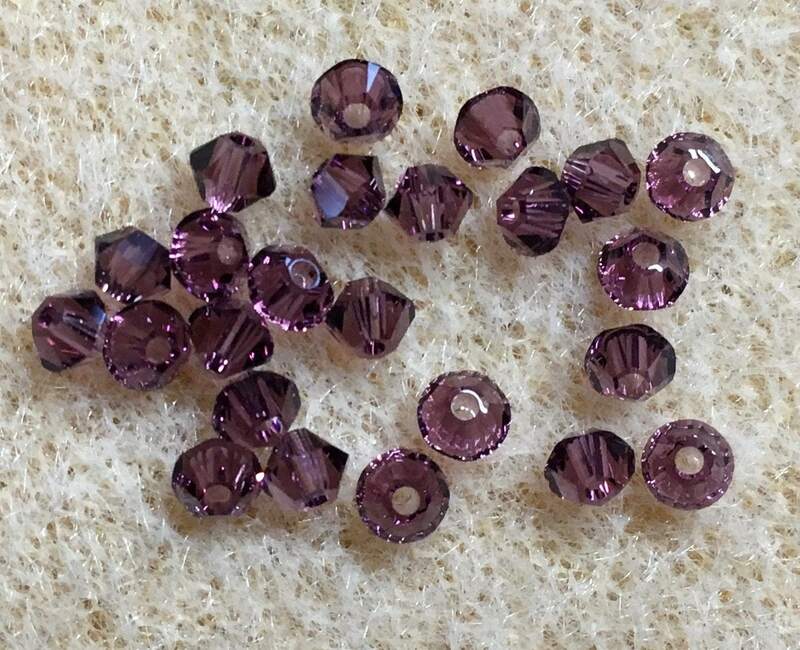 Bag of 24 Amethyst 5328 bicone shaped Swarovski crystals measuring 3mm. These beads are perfect for my project! Thank you!